Look who decided to show up this week - a pepper! 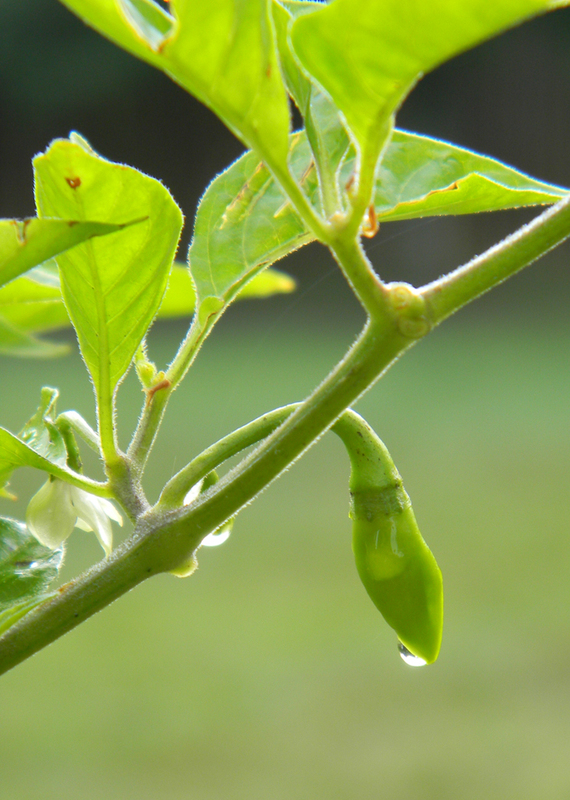 It's been a long time coming, but I finally have a few peppers on my bhut jolokia plant. This was the first one and it literally appeared overnight. One day nothing and the next morning it looked like this. Now, there are several peppers on the plant. Unfortunately, for the past week, we've had some pretty strong evening thunderstorms. The high winds and pounding rain have given my plant a beating. The flowers on the plant (which produce the peppers) are delicate. The slightest touch in the wrong direction pops it right off of the plant. I couldn't tell you the flowers I have lost since it bloomed. But, I can't dwell on that - I have to keep the ones I have alive. The smaller of the two plants has not even flowered, which gives me some concern, but it still looks pretty healthy. I have been treating them both the same, so I'm not sure what is going on. I just gave them both a dose of fish emulsion (and if you don't know what that is - count yourself lucky!). We'll see how the progress goes in the next week. In the meantime, here are a few other pics from the porch! 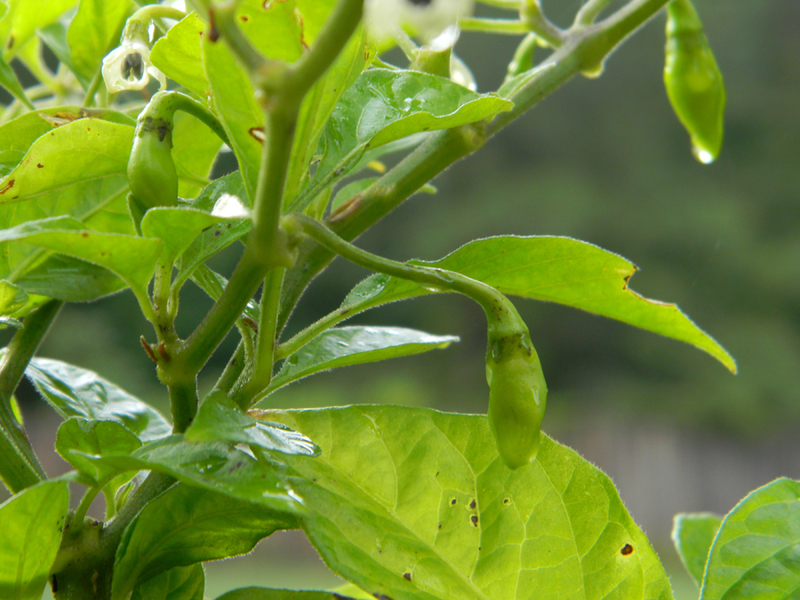 A horizontal view with several peppers. 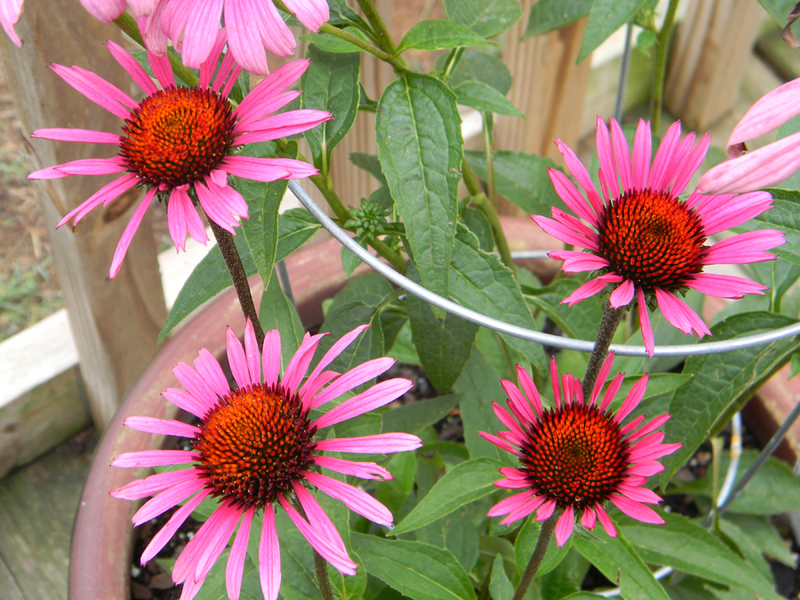 The fuschia pink echinacea in full bloom. What beauties! The citronella plant has grown into the second rung on the cage support. Until next time - Happy Gardening and take some time to "smell the roses".